INCLUDES TRANSPORTATION FROM UNO CAMPUS TO BATON ROUGE, BOX LUNCH & SOFT DRINK/WATER. INCLUDES TRANSPORTATION FROM UNO CAMPUS TO BATON ROUGE, BOX LUNCH & SOFT DRINK/WATER. 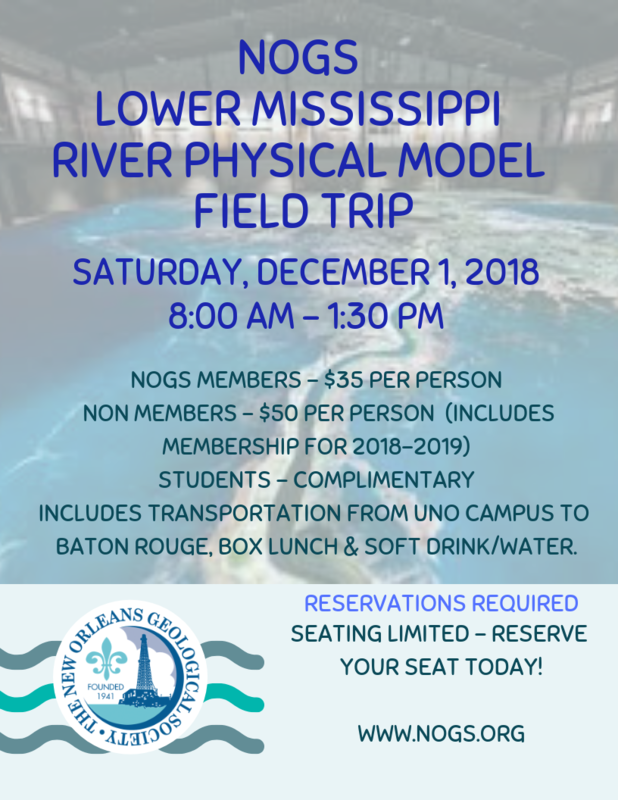 NON-MEMBER PRICE ALSO INCLUDES NOGS MEMBERSHIP THROUGH JUNE 2019. CLICK HERE TO PRINT PDF AND SHARE!